Diecuts With A View-Paper Stack: Black, White & Cream Solids. 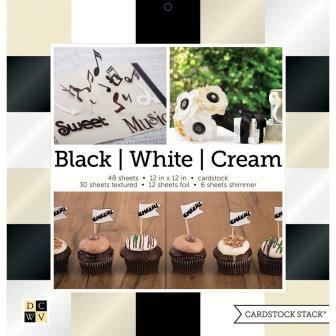 This package contains one 12x12 inch paper pad with forty-eight sheets of printed cardstock. Six sheets have foil accenting, six sheets have shimmer accenting and thirty sheets are textured paper.